The US continues to enjoy a large group of foreign investors who keep buying its government debt. Much has been written on the subject, but it's worth considering a few facts from 2011. 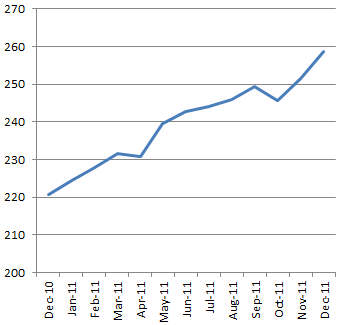 Throughout last year, holdings of US treasuries by foreign nations grew by close to $400bn - all in one year. That's an impressive number by any standard. Just as most fund managers or corporations, the US needs a diversified pool of investors to manage its "redemption" risks. 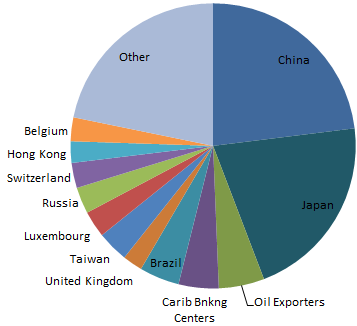 However as the chart below shows, there is a couple of "concentrated" holders - China and Japan. But as the saying goes, it's "better to be lucky than good". And the US clearly lucked out in 2011. As China decided to lighten up on its treasury holdings, Japan just happened to step in and pick up the slack (as it generated dollars from its post-crisis QE driven economy). In addition in 2011, as luck would have it, our oil exporting friends from around the world (Ecuador, Venezuela, Indonesia, Bahrain, Iran, Iraq, Kuwait, Oman, Qatar, Saudi Arabia, the United Arab Emirates, Algeria, Gabon, Libya, and Nigeria) put some of their hard-earned "petro-dollars" into treasuries as well. And that's just what's been happening with foreign holders of treasuries - a number of things went "right". There was also some help from one domestic investor that made a great deal of difference. 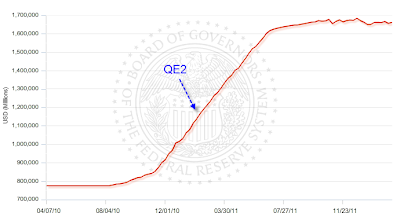 The Treasury's luck continued as the Fed did a bit of buying via the QE2 program. 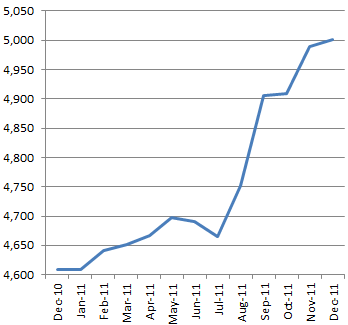 In 2011 the US Treasury saw increased investments by both foreign and domestic buyers of its paper. Much of that success however has been due to special circumstances and is not necessarily repeatable going forward. 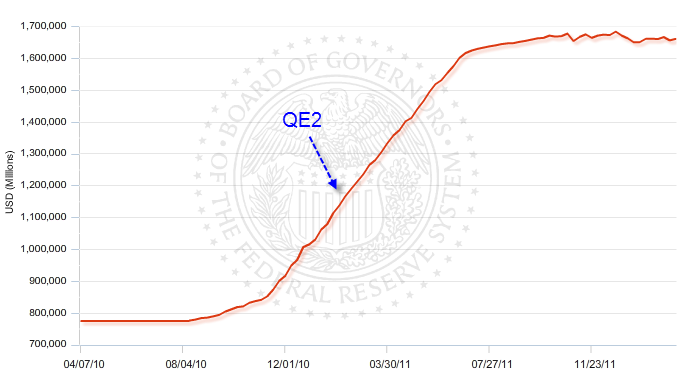 The Fed has stopped buying treasuries for now (at least on a net basis) and is unlikely to do much more in 2012. Will petro-dollars from oil exporters continue flowing into treasuries? Possibly, but given the lineup of characters involved, it's not a sure bet. 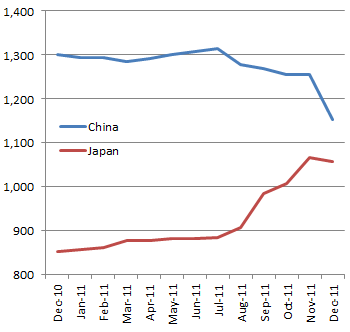 And is Japan in a position to keep compensating for China's reduction in holdings going forward? The odds aren't great given the problems the nation is facing. In spite of what Bill Gross said, 2011 turned out to be a great year for treasuries, with demand originating from multiple sources. But it's only a matter of time before the US Treasury's lucky streak runs out.